The past few years have seen the emergence of the ‘electronic pop duo,’ a creature capable of inflicting torrents of powerfully evocative music upon its prey. Every newcomer to this expansive bubble of a label faces an increasingly uphill battle to establish credibility and justify their existence, with the base argument being, we don’t need 100 Broods look/sound-alikes. Several acts have asserted themselves and proved their worth – from Atlanta’s CLAVVS, to siblings XYLO, to exes Teammate, to name a few. LA’s FYOHNA have just joined that exclusive list. The duo’s debut single “Ghost Heart” is a hauntingly bittersweet breakup that accesses a range of emotions, allowing us to relive everything from pain to relief as love in the present becomes love in the past. Atwood Magazine is proud to be premiering the intimate live video for FYOHNA’s two-week-old debut single, “Ghost Heart.” Consisting of vocalist Katarina Gleicher and producer/multi instrumentalist Elliot Glasser, FYOHNA craft an expansively deep, delicate sonic environment that captures the weight and worth of their words. The electronic pop duo very much live up to their description, utilizing spontaneous voice-sampling, beat-sequencing, and loop-triggering in their live performances to create and recreate their songs. And it is this musical mastery that we get to experience first-hand in FYOHNA’s live video. Two Macbooks whir, their processors hard at work as each intakes information from hard drives, MIDI controllers, preamps and more. Glasser clicks a button to start off a pre-recorded percussive pattern, which sets Gleicher off snapping her fingers and flexing her voice to develop loops that will serve as the backbone of their song. It all looks and feels natural, but behind this performance lie countless hours spent mastering their timing, technique, sound, and poise: Musical creation is one thing, but the performance in itself is a second craft, and one that FYOHNA seem to embrace with confidence and ease. “Ghost Heart” is a poignant, yet resolute and welcome ending – FYOHNA deliver sorrow and relief as they close a door that was left open for far too long. The lyrics take us to that secondary world of psychosomatic turmoil, with that gut feeling churning in our stomachs as Gleicher’s words hang thick in the air. The song transports us away from the artists’ homey workstation, with its lines of books, sewing equipment, home improvement tools, craft gear, and more. “We have a lot of fun when we perform,” remarks the band. That feeling is certainly reflected in their first live performance video. “We’re playing songs we’ve spent a lot of time writing and producing. Each one has its own meaning to us, and we want to make sure the audience can enjoy them too.” FYOHNA’s self-titled debut EP will be released April 28, 2017. Though the LA-based duo have only released one song off the record, they already have a lot going for them: “Ghost Heart” has been added to Spotify’s New Music Friday, Weekly Buzz, Chill Vibes and US Viral 50 playlists, and is currently at 153,000 streams in just over 2 weeks. “Ghost Heart” ends in an extended instrumental fade-out that teaches us a little more about the relationship between feeling and technology. Four hands work magic around keys, knobs and faders as FYOHNA craft a spellbinding ethereal wave that slowly releases its long-held tension. Time will tell what Katarina Gleicher and Elliot Glasser are capable of, but for now they continue to ride the “Ghost Heart” high. Their live performance video offers a private peek behind the curtains as FYOHNA share with us the inner workings of their brilliant song, recreating it with all the heart and personality of the original master recording. 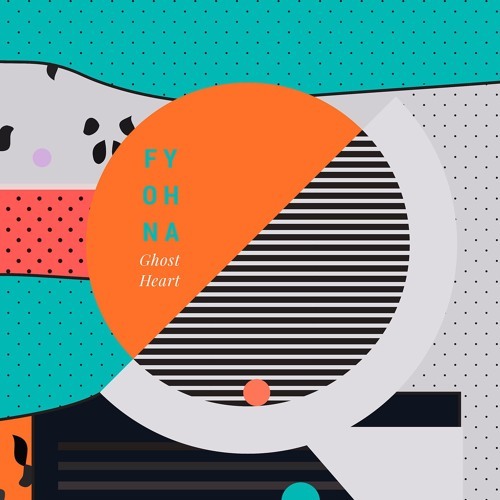 Dive into FYOHNA’s “Ghost Heart,” and stay tuned for more from exhilaratingly fresh, evocative duo.